Mediscribes Brings Cutting-Edge Clinical Documentation to Premier's Healthcare Network | ezDI, Inc. | The only fully integrated born-in-the-cloud Speech to Text, Clinical Document Improvement, Coding, Auditing and Analytics platform on the planet. 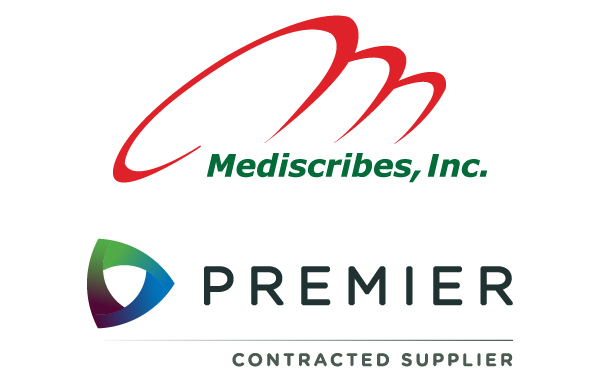 LOUISVILLE, Ky., January 8, 2019	(Newswire.com) - Mediscribes Inc., a leader in health information management and medical transcription technologies, has been selected as a vendor by Premier Inc. (Contract Number: PP-SV-198). Through this partnership, Mediscribes will make its clinical documentation and transcription platform available to over 4,000 member hospitals, healthcare providers, and doctors in Premier’s extensive network. Premier is a pioneer in healthcare improvement, using new technologies, data, and analytics, and other collaborative solutions to enable cost-effective healthcare a possibility. Mediscribes will provide Premier member hospitals back-end and front-end speech recognition and other speech-to-text solutions at a discounted rate. At the same time, members are also guaranteed 99% quality documentation, fast turnaround times, and prompt customer support. Mediscribes’ comprehensive transcription platform includes tools that simplify the creation, sorting, and maintenance of electronic patient records. Its four main modules include a voice capture application, a file management system, a transcription tool for detailed report creation, and a portal for patient record maintenance and reference. Back-end and front-end speech recognition makes the transcription process seamless. Also, the HIPAA-compliant platform is cloud-based, making it lightweight, scalable, and compatible with existing infrastructure. “Our transcription service has grown exponentially since 2004 as a result of our intense focus on transcription quality, turnaround-time and providing the industry’s best customer support,” Krissy Scott added. Based in Louisville, Mediscribes, Inc. is one of the fastest growing medical transcription service providers in the United States. Mediscribes is an ISO 9000-2001 certified company, offering cost-effective consolidated transcription solutions to hospitals, clinics, and other healthcare facilities since 2004. Mediscribes services strictly adhere to guidelines set by the Association for Healthcare Document Integrity (AHDI). For more information, please visit www.mediscribes.com. Premier Inc. is a healthcare improvement company uniting an alliance of approximately 4,000 U.S. hospitals and health systems and approximately 165,000 other providers and organizations. As an industry leader, Premier has created one of the most comprehensive databases of actionable data, clinical best practices, and efficiency improvement strategies. Premier’s award-winning and revolutionary technologies enable members to collaborate more easily and efficiently. The goal of the Premier is to improve members’ quality outcomes, while safely reducing costs. By engaging members and revealing new opportunities, Premier empower the alliance to improve the performance of healthcare organizations.